One of them is in North India and another in the South. Both lay claim to being the oldest structures of their kind. If the one in North says it has an uninterrupted tradition of worship and pooje for thousands of years, the structure in the South says it is as old as the first century BC. These two are among the earliest recorded and archaeologically important temples of India. They both can claim to be the oldest chronicled temples in India. The Mundeshwari temple is Kaimur in Bihar claims to be the oldest functional temple in north India. There is a stone inscription near the temple which dates it back to 108 AD. Similarly, the Shiva temple at Gudimallam near Tirupathi in Andhra Pradesh has a Linga which is dated to the 1st century BC. Thus, both the temples can lay claim to be among the oldest in India. Though India has many temples, infact thousands of them, which date back to the times of Ramayana, Mahabharat , Puranas and even Vedas, these two temples are unique as they have recorded history of their existence in the form of inscriptions and even texts. If one were to look out for the oldest Hindu temple functioning today, and not in ruins, then we can point to the Ma Mundeshwari Temple. Ever since the temple was founded in 108 A D, rituals and worship have been taking place here without a break. This makes it one of the oldest and continuously functional temple in the world. The Ma Mundeshwari temple is atop the Kaimur Hill and it is octagonal in shape. The sanctum sanctorum of the shrine has an idol of Devi - Mundeshwari. There is also a ‘Chaturmukha Shivalinga in the sanctum sanctorum. Thus both Shiva and Shakti are worshipped here. There are also indications that this temple in ancient ages was a part of the Tantric cult which is quite popular in Eastern India. There are idols of other gods such as Ganesha, Surya, Vishnu and Mother Goddess. The temple attracts a lot of devotees during festivals like Ramnavami and Shivratri. Interestingly, the present caretaker of the temple is Muslim, yet another example of the religious harmony at the grassroots level in India. Coming down south to Gudimallamm the Shiva Temple here is located in Kalahasti taluk of the Chittoor district of Andhra Pradesh. The Linga is supposed to be the earliest such idol discovered so far and it has been assigned to the 2nd or 1st century BC. Gudimallam is a small village and it is just 7 miles away from Renigunta railway junction. Though a small village, it is important historically and also archaeologically because of the Shiva temple. The Shiva temple is also known as Parasurameshwara Temple. This name of the temple is mentioned in the inscriptions. However, these inscriptions do not say anything about the original builders of the temple. 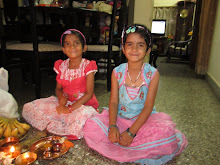 They register the gifts made to the temple like land, money and cows for the conduct of daily worship in the temple. Black and Redware shards of the 2nd or 3rd century AD have been excavated in 1973. There are several inscriptions dating back to the Pallavas, Gangas, Banas and Cholas on the walls of the shrine. One of the earliest inscription belongs to Nandivarma Pallava (802 AD). All the inscriptions mention the interest taken by the donors and their gifts to the temple. Yet, none of them give the name of the village as Gudimallam. The floor of the sanctum is below the floor level of the Antarala and Mukhamantapa. The figure of Siva carved on the linga resembles a hunter. The Linga is carved out of hard dark brown stone. The Linga is about 5 feet in height and one foot in thickness. The nut of the linga is clearly differentiated from the shaft by a deep slanting groove cut near the Linga. A beautiful two handed image of Shiva in sthanaka posture an also be seen. On the front portion of the Linga, Shiva is shown standing on the shoulders of the apasmarapurusha. The Deity holds a ram in his right hand and a small vessel in his left. There is a battle axe (Parasu) resting on his left shoulder. His head is adorned with Jatas arranged in the Jatabhara fashion. He wears a number of rings in his ears and a unique girdle with a dangling central portion. Shiva wears a dhoti fastened at his waist with a beautiful vastra-mekhala. The Linga is believed to be a manifestation of the Trinity, with Brahma at the bottom, Vishnu in the middle and Shiva on top. There is a beautiful legend on how the Linga came to be consecrated. Parasurama had beheaded his mother, Renuka, at the behest of his father. Parashurama was then advised by rishis to come to this temple and worship the linga as penance for having killed his mother. When Parashurama came here, he found the temple near a pond. A single divine flower used to surface every day, which Parashurama offered to Shiva. He had appointed a yaksha, Chitrasena, to guard the flower from being destroyed by wild beasts. In return for Chitrasena’s service, Parasurama brought one animal and toddy everyday. One day, Chitrasena, a devotee of Brahma, felt tempted to worship Shiva himself. An enraged Parasurama attacked Chitrasena when he found the flower missing. The battle lasted for 14 years, and was so fierce that a pallam, or pit, was created at the site. This is how Gudipallam or “temple in the pit” became Gudimallam over time. Unable to choose the victor, Shiva is finally said to have merged both Parashurama and Chitrasena into himself, and the figures still etched on the Linga show the hunted beast and toddy pot in Parasurama’s hand, Brahma as Chitrasena, Vishnu as Parasurama and Shiva as the Linga complete the idol. There are smaller shrines of Parvati, the six-faced Kartikeya and Suryanarayana in the court yard of the temple. The Sun God or Surya is shown standing erect with a flower in each hand, one of the earliest known depictions. A unique event associated with the temple is that the sanctum gets flooded every sixty years. A small underground tank and a duct connecting the tank to the Shiva Linga can be seen even today. These remain stone dry except during the 60-year phenomenon when water suddenly gushes through with such force that it rises over the column of the Linga, flows over the top and subsides as suddenly as it has risen. The last time this happened was on December 4, 2005. Monument attendant P. Seenappa, has recorded the incident in the temple register. The water level then falls and remains at six inches for four hours, after which it disappeared as though it was never there. Archaeological Survey of India (ASI) officials say that the water table in the area is at a depth of 300-350 feet Therefore, there is no tangible explanation for the phenomenon. Devotees, however, prefer to believe that the water comes all the way from Kashi to perform abhisheka to the Linga. Another unique feature is that the rays of the Sun pass through the grills carved on the stone walls twice a year during the solstices (Uttarayana and Dakshinayana) and fall directly on the forehead of the main Shiva Linga. Gudimallam is 31 Km from Tirupati and 13 kms from Renigunta.